Furry Santa Hat, Soft And Warm For Cold Winter. 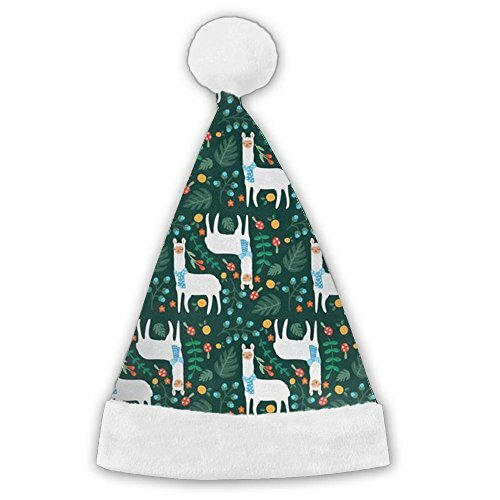 Traditional Santa Hat, Perfect For Parties, Holiday Events, Christmas Eve And More. We Believe In The Quality Of Our Santa Hats, Offering 30-day Satisfaction Guarantee. Made From 100% Pleuche For Maximum Softness, Absorbency And Durability. Kids:9.8 X 13.8 Inch,Adult:15.7 X 11.4 Inch.Fit Most People's Head. Both Great For Kids And Adults. Beautiful Colors, Hand-wash Needed, Workmanship Ensures This Will Last For Many Seasons To Come. Highest Quality Materials And Workmanship Ensures This Will Last For Many Seasons To Come! Great For Holiday Costume Parties! Moreover It's For Halloween, A Themed Party, Or Even For Giggles. If you have any questions about this product by ChengGo, contact us by completing and submitting the form below. If you are looking for a specif part number, please include it with your message.